First-time buyers enjoy double celebration as Bennet finally pops the question! A Chester couple is celebrating a double serving of good news after buying their first home and getting engaged - all in the same week! 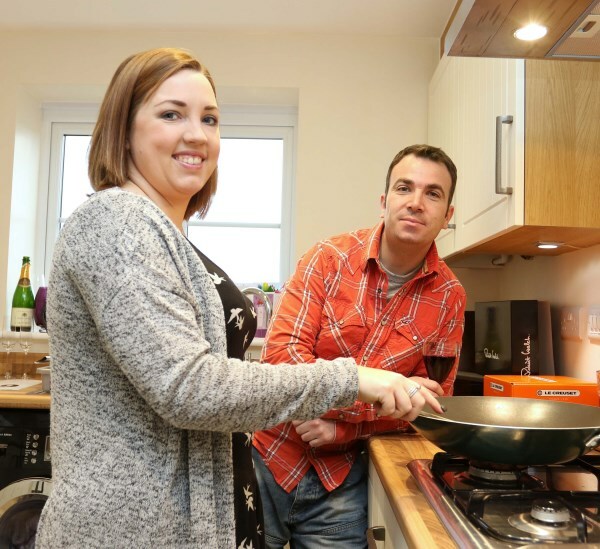 Bennet Williams, 30, and his partner Laura Johnson, 28, moved into their Bovis Homes property at Crown Park in Saighton just days before celebrating their 10th anniversary together. And to mark the occasion Bennet decided to take the plunge and pop the question! He surprised his partner after work one day with petals, candles and romantic music before getting down on one knee, presenting Laura with the ring and proposing. Her answer was an instant yes so Bennet cracked open the bottle of champagne he had stored in the fridge and then took Laura out for a romantic meal to celebrate. Bennet explained: "I decided to pop the question because it was our 10th year together to the day, which happened to be less than a week after moving into our very first home of our own. After being able to buy our first house together it felt secure and just seemed like the perfect time." 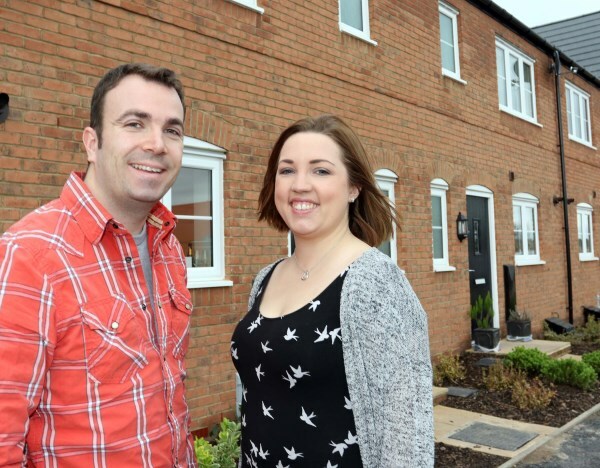 The couple bought their three-bed semi-detached home off-plan using Help to Buy. This is the Government-backed scheme which requires a deposit of just five per cent, with the Government providing an equity loan of 20 per cent of the property's value, meaning buyers can access a 75 per cent mortgage. Bennet said: "We thought it was a sensible option for us and it helped us feel more secure in accessing a manageable mortgage for a property in the area of our choice. The sales team was very helpful throughout and we found the buying process stress-free. "We have lived in a number of rented houses across the North West over the past seven years, but it really feels like home now that we own our own property. We are both originally from the Chester area and wanted to move back and settle in here. We had been looking on and off for months, knowing that Chester was the right area, so it worked out perfectly for us. "We really liked the open-plan layout of the living area in this house and felt it was a really good starter home." The couple haven't set a wedding date yet, but are hoping to be married in 2016 and are enjoying looking around for ideas. For more information on Help to Buy, Crown Park or other Bovis Homes locations, visit www.bovishomes.co.uk.